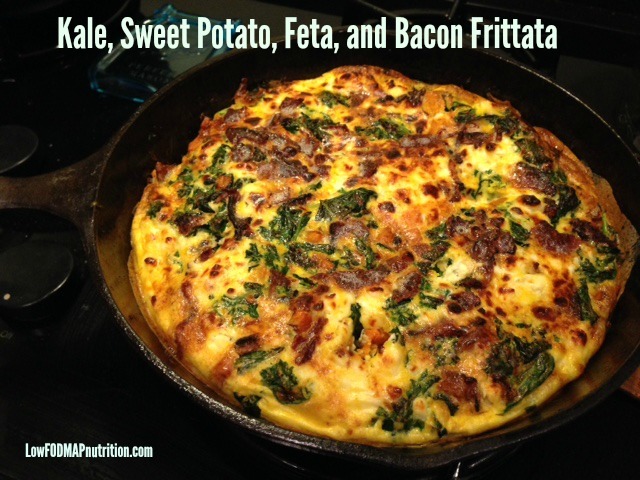 This frittata recipe is great for an easy weeknight dinner. If you prep the ingredients and cook them ahead of time it will take no time at all. You can add and subtract ingredients. 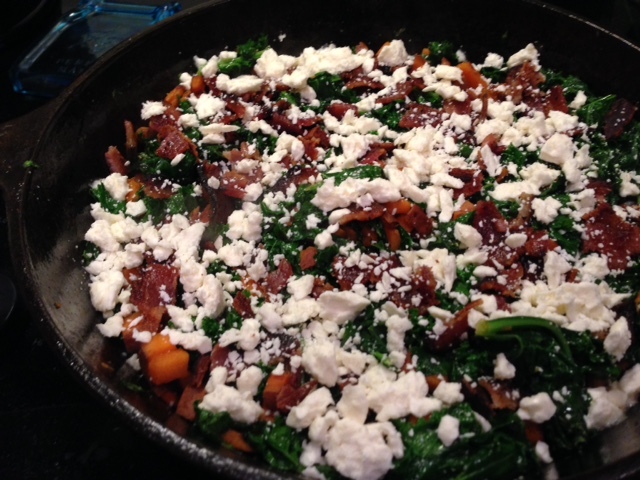 For example, use white potatoes instead of sweet potatoes, take out the bacon or the cheese if you don’t want them, add spinach instead of kale, etc. 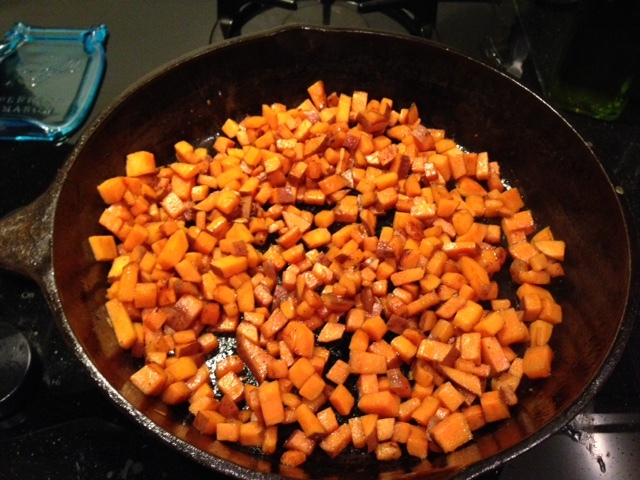 This recipe meets the cutoff of 1/2 cup sweet potato per serving. If you’re using bacon, cook it first in an ovenproof pan. 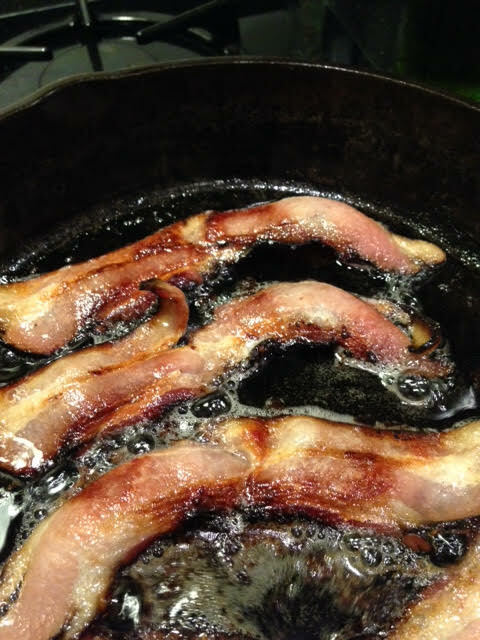 When the bacon is crispy, remove it from the pan and place on paper towels to drain. Wipe up some of the bacon grease with a paper towel, leaving about 1 Tbs in the pan. Add the garlic to infuse in the fat. Add the sweet potatoes and cook until soft, about 10 minutes. While they are cooking, mix together the eggs and water. Add kale and cook until wilted. 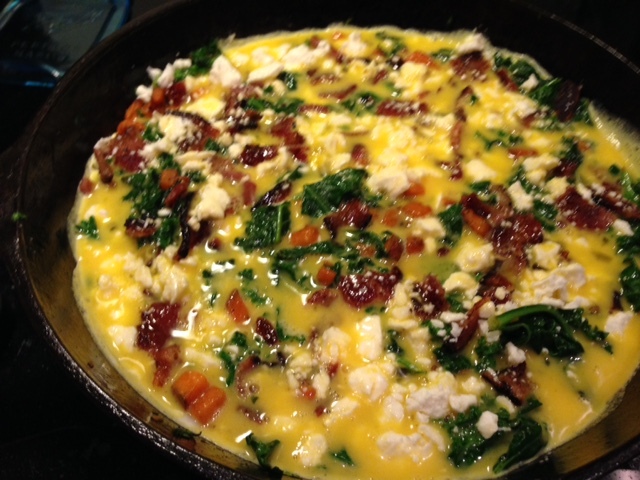 Sprinkle the bacon and feta on top. Pour the egg and water mixture over all the ingredients. Cover the pan and cook for about 3 minutes. Transfer to the oven without the lid and cook under the broiler for 6-9 minutes. The timing will depend on the strength of your oven. 2. Pour out some of the bacon grease, so 1 Tbs remains. 3. Saute garlic clove in the bacon fat for about 1 minute. Remove and throw away. 4. Add sweet potatoes. Cook on medium heat for about 10 min until potatoes are soft, mixing occasionally. While potatoes are cooking, mix up the eggs and water. 5. Add kale and cook until wilted, about 1-2 minutes. 6. Sprinkle bacon and cheese on top of vegetables. 7. Pour egg mixture over all ingredients. 8. Cover pan and cook on medium for about 3 min. 9. 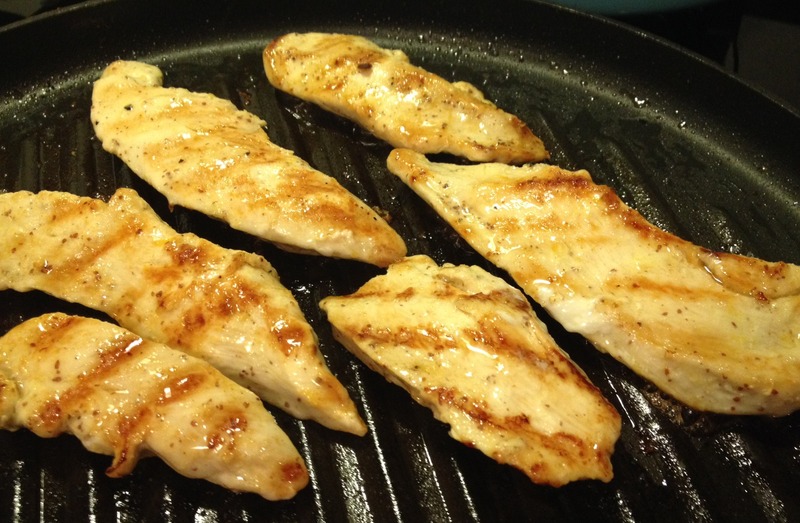 Transfer the entire pan to the oven and broil for about 6-9 minutes. This will vary based on hot hot your oven gets. Check on it frequently to be sure it doesn’t burn. It will be finished when the top is brown and eggs are cooked through. 10. Let cool and slice into 4 slices. It’s cold outside, and a nice big warm bowl of something is just right! This recipe is one that is great when you also are looking to have some leftovers to carry you through the week. 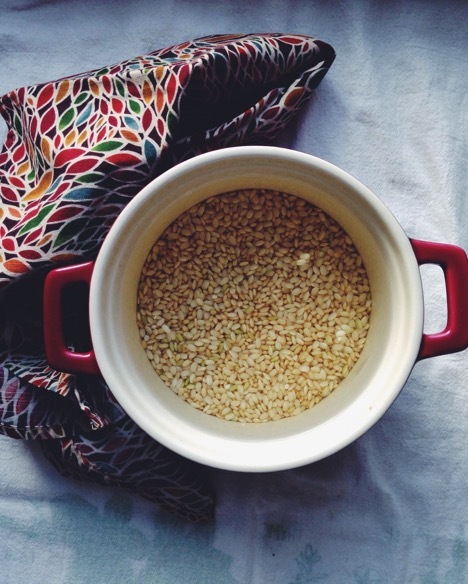 The first step to this recipe is one that while beneficial is not crucial: SOAKING YOUR GRAINS! Why might it be helpful to soak your grains? The answer is phytic acid. Best part about this recipe is how much you can get done ahead of time or while the rice and tofu finish cooking. You can prep the veggies, tofu or even cook the rice a day ahead and then throw it all in a wok or pan. However you decide to tackle this recipe, it’s sure to satisfy and keep you warm for days to come. Soak brown rice overnight with 4-5 cups of filtered water, set aside. Next day, drain and rinse brown rice and place it in a medium sauce pan with 2 cups filtered water and salt to taste. Bring to a boil, reduce heat to a simmer, cover and let cook for 45-50 minutes. Meanwhile, cube tofu into bite size pieces and place in a large bowl or baking pan and add soy sauce and sesame oil. Toss and let sit for 20 minutes in the fridge. Preheat oven to 350 degree Fahrenheit while the tofu marinates. After 20 minutes, transfer marinated tofu onto a lined baking sheet with parchment paper and place tofu in oven, bake for 30 minutes. Reserve the marinade left from the tofu and add in the ginger, set aside. While the tofu’s baking and rice finishes up, prep the remaining veggies. Once rice and tofu are done cooking, warm a wok or a large pan with olive oil and cook kale, red pepper in remaining marinade with ginger for 5-6 minutes. 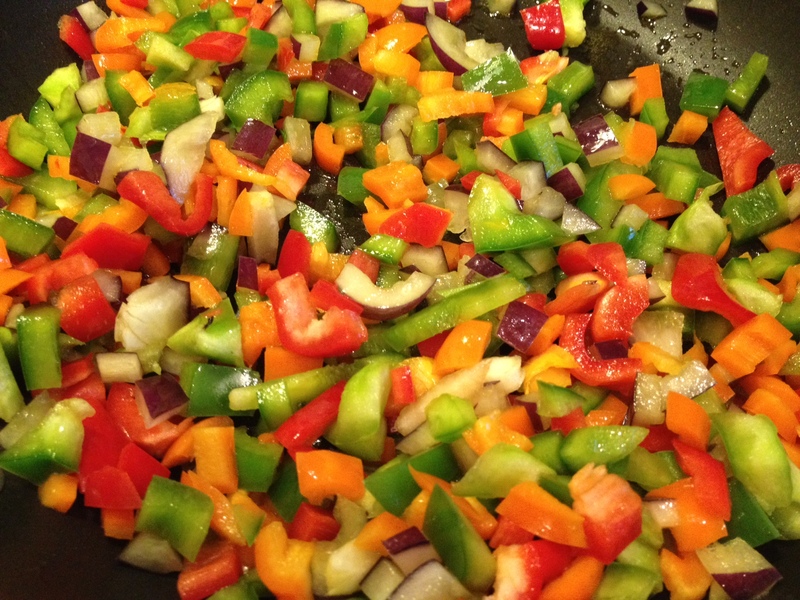 You may either toss all ingredients in a pan and cook it like a stir fry or serve ingredients separately! Garnish with green tops from scallions and sesame seeds! Enjoy. Looking to satisfy that sweet tooth? 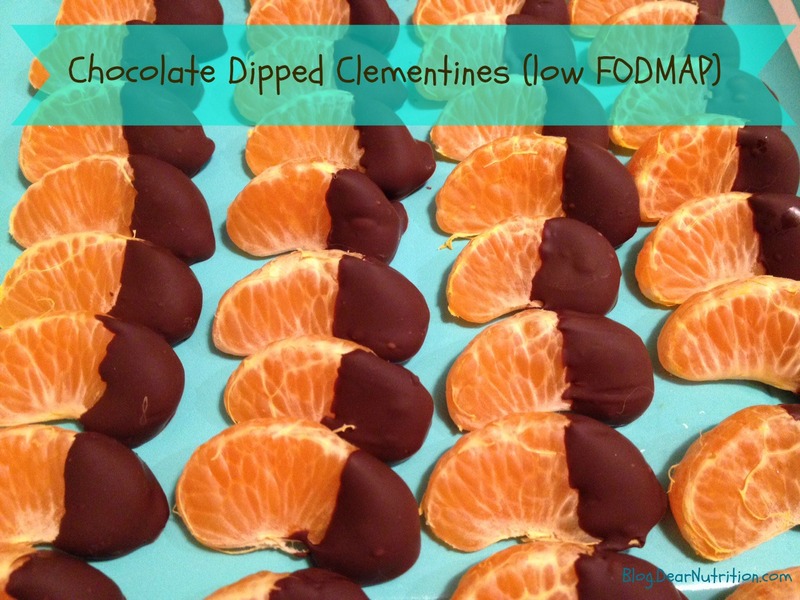 These chocolate dipped clementines are absolutely delicious and definitely healthier than some of the holiday sweet treats out there at this time of year. Consider bringing these to your next holiday party for everyone to enjoy. The amount of ingredients will depend on how many you’d like to make. Try 1/2 cup chocolate chips for 8 clementines. 1. 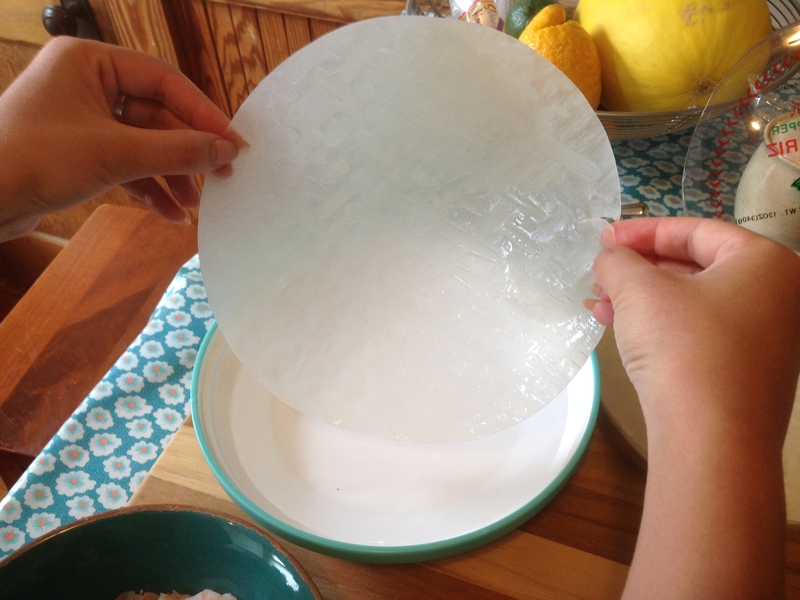 Spread a sheet of wax paper on a baking pan. 2. Peel clementines and separate into segments. 3. Melt the chocolate on a double broiler or in the microwave, being careful not to burn it. 4. Dip the clementine segments into the chocolate so half of it is covered. 5. Lay the segments on the wax paper and allow to dry. Once they’re dry, store them in a covered container in the fridge for up to 4 days. Looking for a recipe to throw in the crock pot this week while you’re focused on Thanksgiving prep? 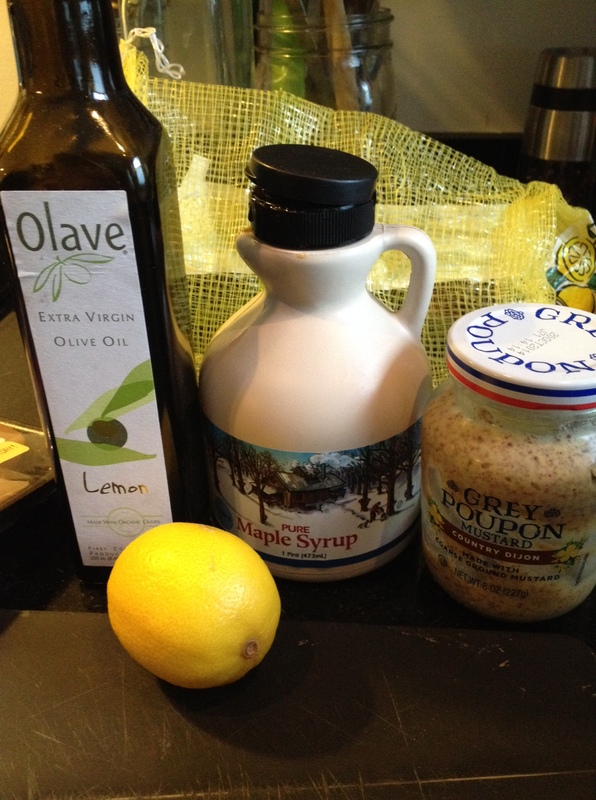 Here’s a recipe my lovely intern Michelle Pearson, a graduate student at the Tufts’ Friedman School developed for the fall season. This recipe combines ground turkey, butternut squash, zucchini, frozen corn, tomatoes, and spices. 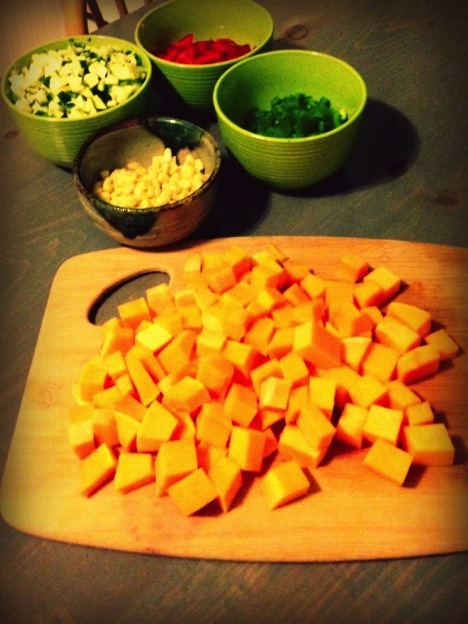 On the FODMAP elimination diet butternut squash is limited to 1/3 cup per serving. Each serving of this chili contains just under 1/3 cup butternut squash. 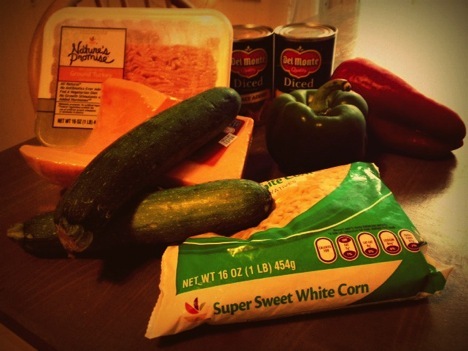 To turn this into a vegan chili, use Quorn grounds, original flavor. First, cook the ground turkey on the stove, chopping it up with a wooden spoon. Then chop up all the vegetables. Add all ingredients to the crock pot and let it cook away while you enjoy the rest of your day. 2 lbs ground turkey (use 1lb extra lean and 1 lb dark meat) (use Quorn grounds for a vegan chili). 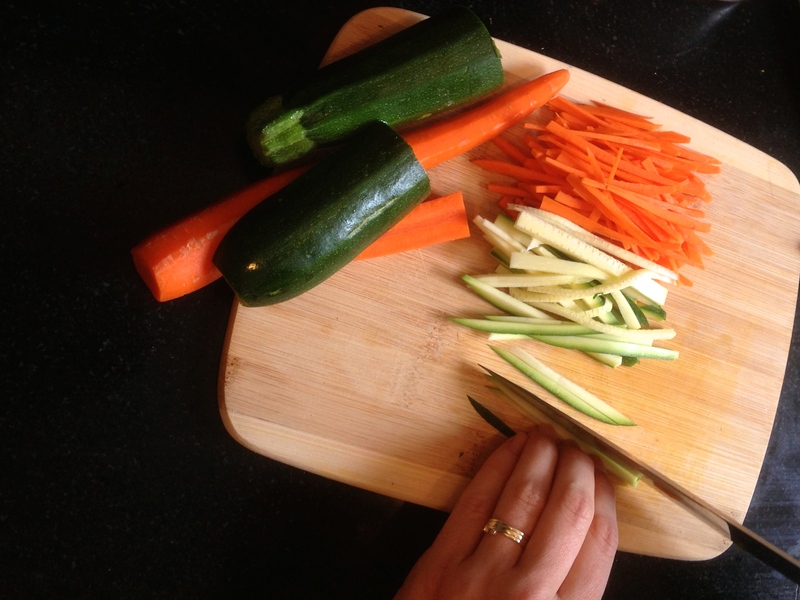 If you like more veggies and less meat in your chili, substitute more zucchini and peppers for 1/2-1 lb of meat/Quorn. 1. 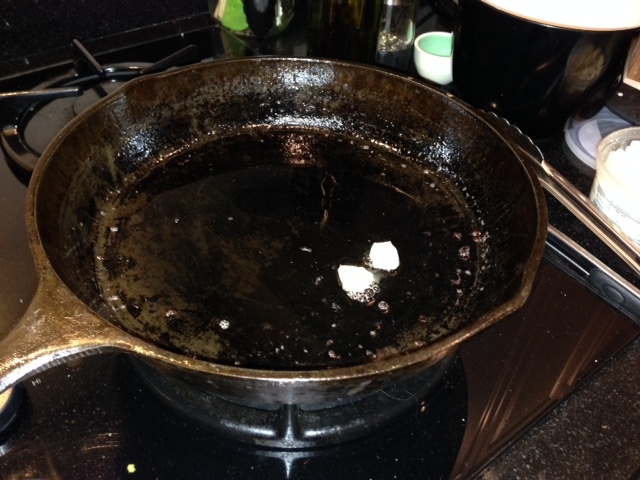 Add the canola oil and paprika to a frying pan set on medium heat. Cook the turkey, breaking up the meat with a wooden spoon. Cook until meat is just about cooked through. 2. Add all ingredients to the crock pot and cook on low for 5-6 hours. Enjoy! I was so excited to hear that Monash University tested canned pumpkin recently and found it to be low FODMAP. 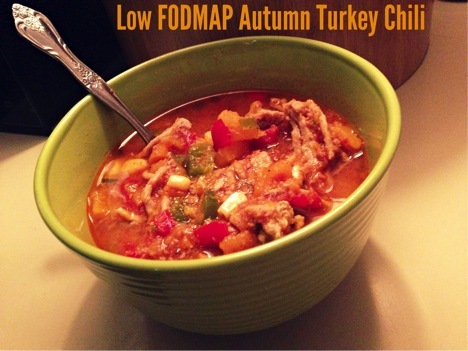 Technically only 1/4 cup is low FODMAP, but that’s plenty to incorporate into some sweet and savory treats this fall. This morning I experimented with making some low FODMAP pumpkin pancakes using oat flour as a base. This is my favorite pancake base because it’s a whole grain with lots of soluble fiber – good for digestion and for helping with high cholesterol. Soluble fiber is the only food that binds to cholesterol and brings it out of the body. 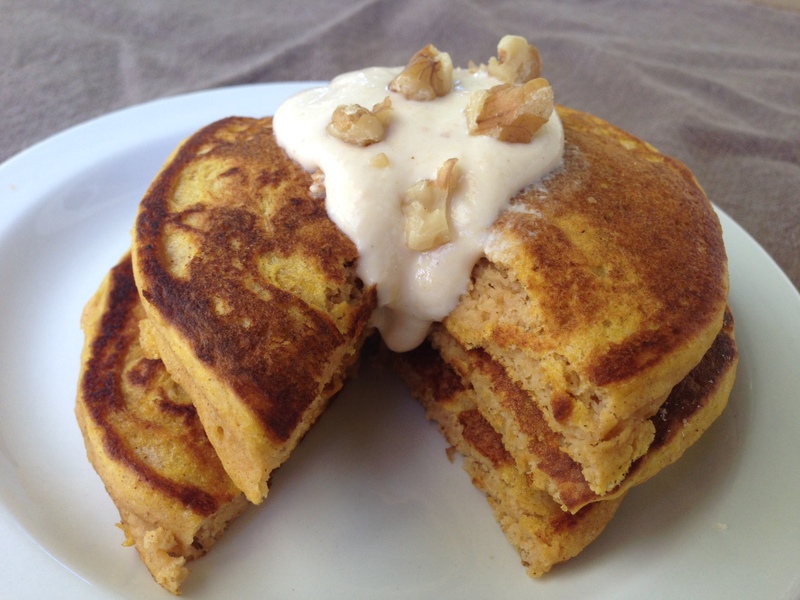 Pumpkin is also high in soluble fiber, making these pancakes nutritious and delicious. 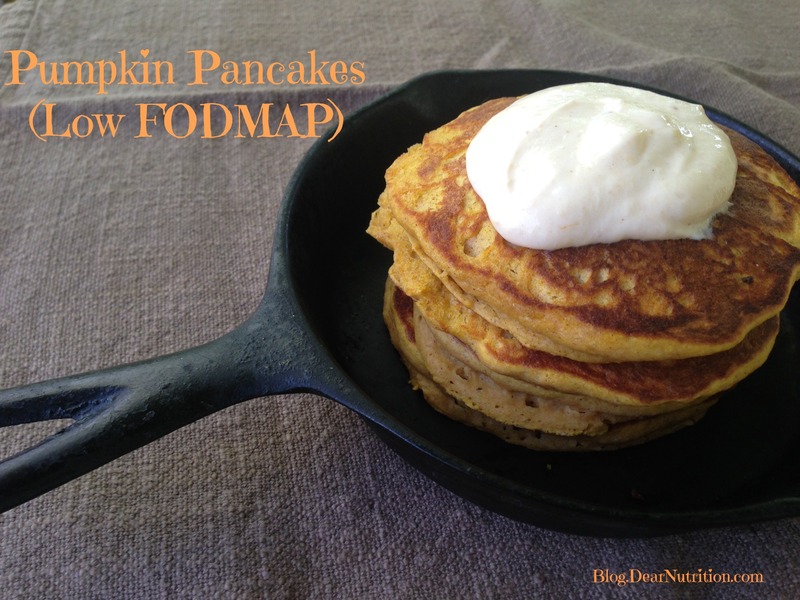 Serve these pancakes with pumpkin Greek yogurt for a fantastic fall treat! 1. Mix together the dry ingredients (flour, baking powder, salt, and spices) in a medium sized bowl. 2. 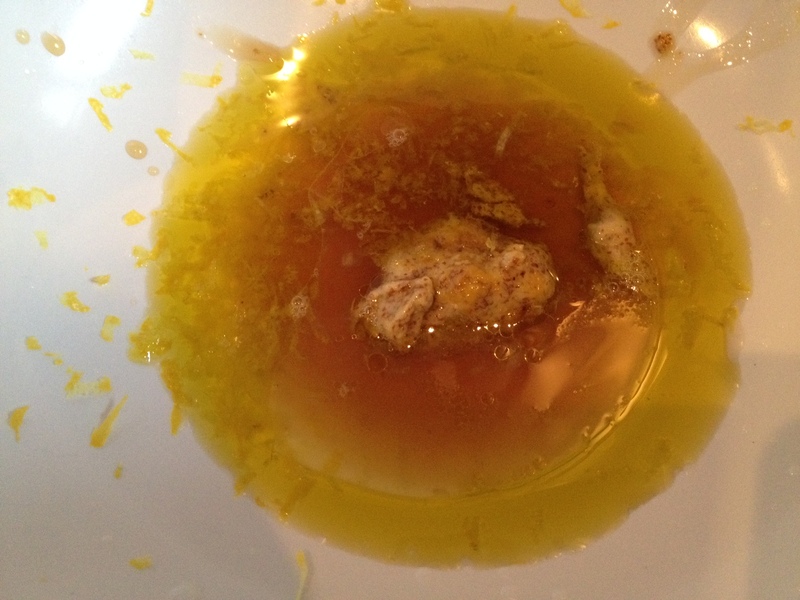 Mix the remaining ingredients in a small bowl. Add the wet mixture to the dry mixture and stir until combined. After sitting for a few minutes, the baking soda will make the mixture puff up. If it’s too think, add more milk to thin it out. 3. Heat a medium to large skillet over medium heat. Add 1–2 teaspoons butter to the pan, then add the pancake batter, using about 1/4 cup batter per pancake. Flip when browned on one side. 4. Serve with store bought pumpkin Greek yogurt, or make your own combining plain Greek yogurt, pumpkin puree, and maple syrup. I’m trying to soak up the very last bit of summer here in Boston. 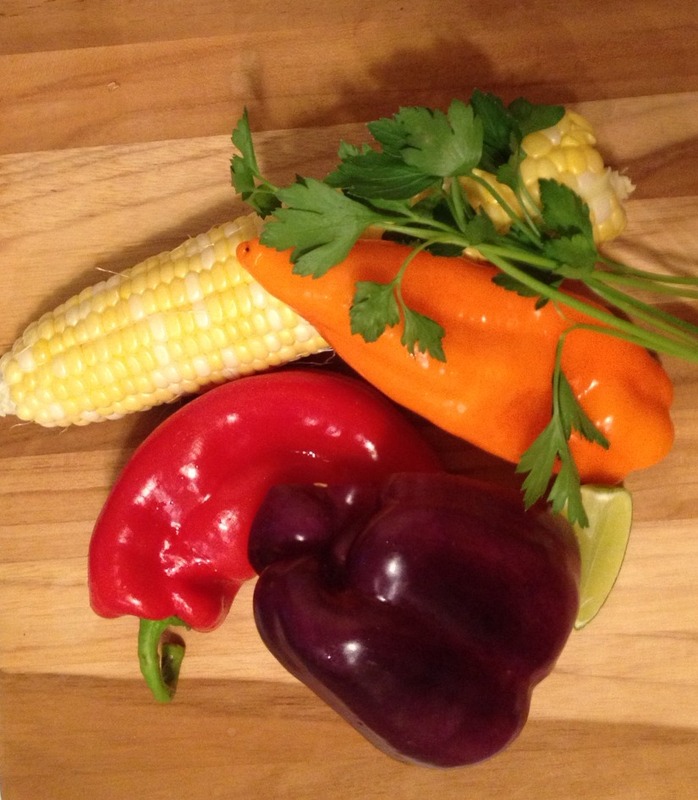 I went to the farmers’ market in Brookline near my office and bought some delicious corn and peppers in many colors. 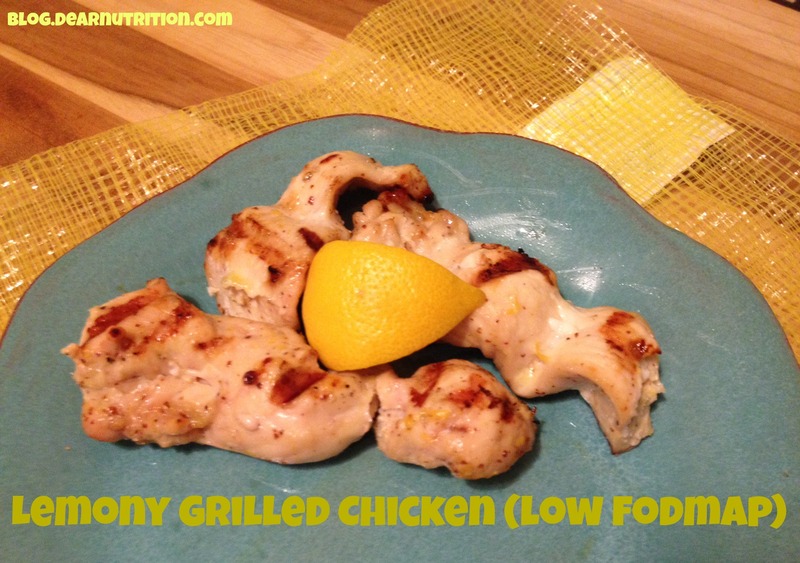 The following recipe is quick and easy and can be paired with grilled chicken, fish, or even a burger. 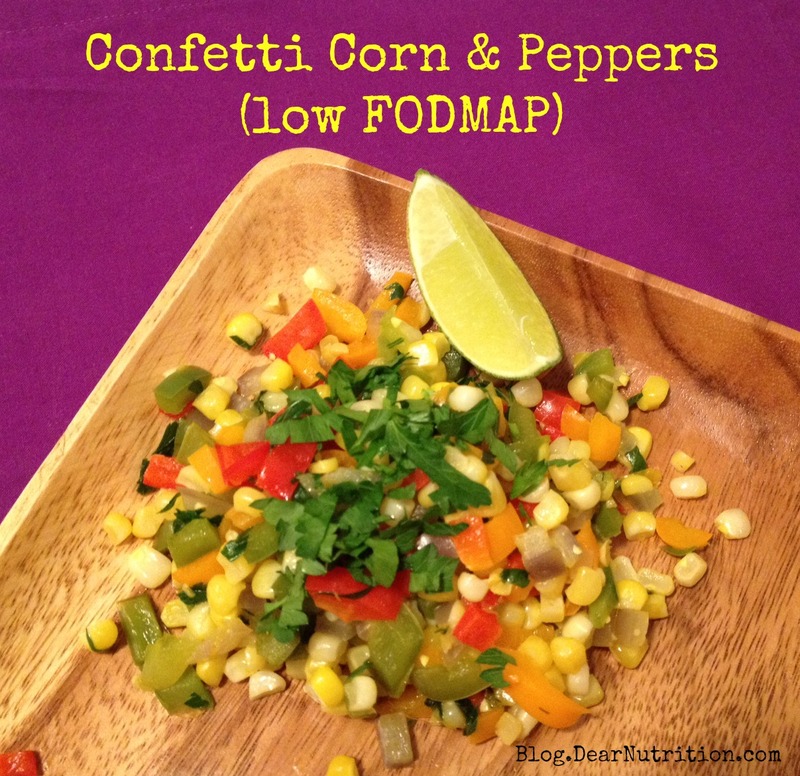 For those of you on the low FODMAP diet, you may know you can have corn in small amounts – half an ear. This recipe uses two cobs and serves four as a side dish. First, dice the peppers into small pieces. Heat 2 tsp olive oil in a pan and start cooking the peppers. While they cook, cut the kernels off two ears of corn. 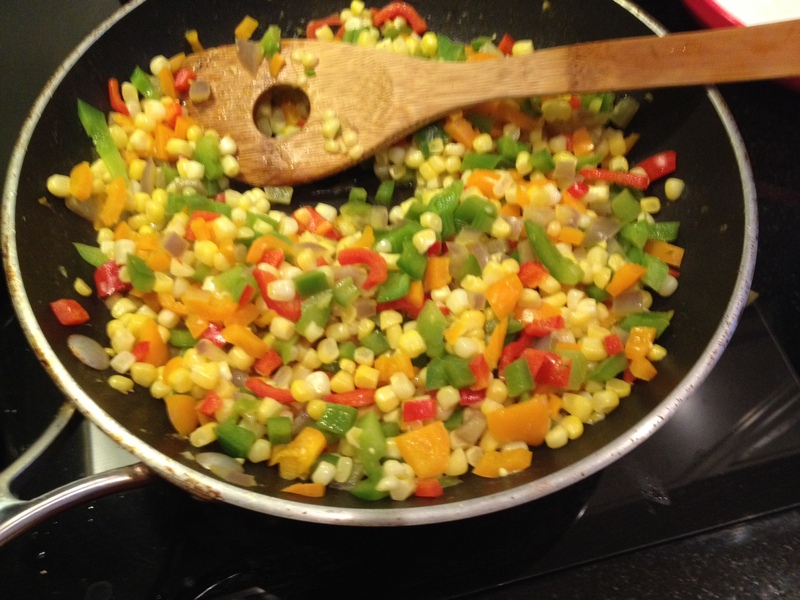 Once the peppers have cooked for a few minutes, add in the corn and cook just about 2-3 minutes longer. Fresh corn hardly needs to be cooked at all. Add some lime juice, salt, pepper, a teaspoon of butter, and some hot pepper flakes if you like. Enjoy these veggies before they go out of season! 1. Dice the peppers into small pieces. 2. 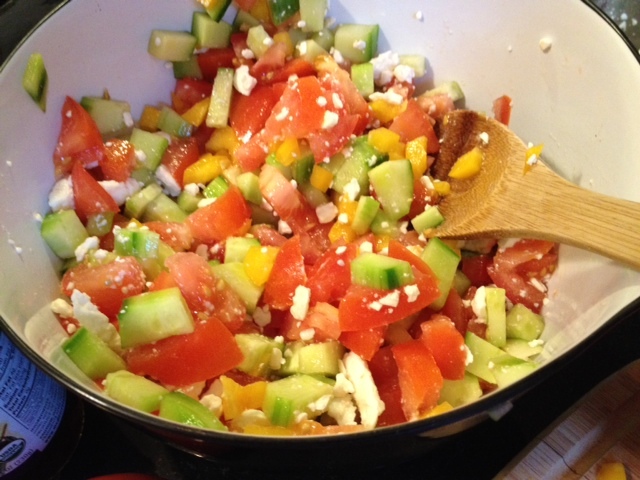 Heat the olive oil in a medium-sized pan and add the peppers. 3. While the peppers start to cook, cut the kernels off the corn. Make sure to stop and stir the peppers while you do this. 4. Once the peppers have started to soften, add the corn and cook for 2-3 more minutes. 5. Stir in the herbs, butter, salt, pepper, and optional red peppers flakes. 6. Serve with lime wedges. 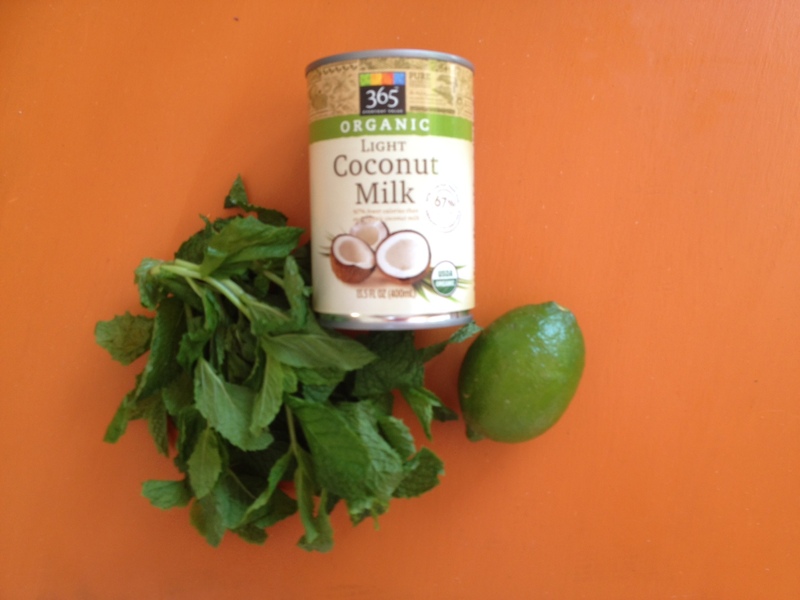 I recently went to Cape Cod with my family and wanted to make a delicious treat for the warm weather. 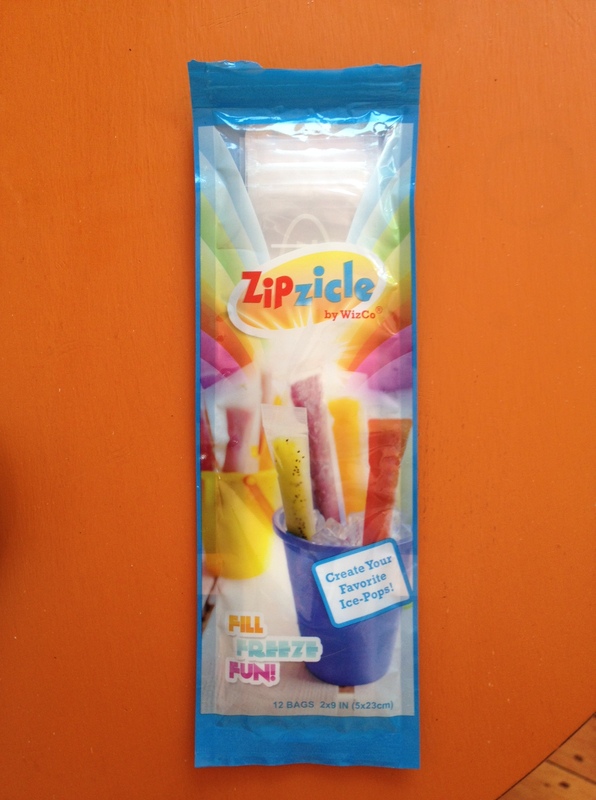 These Zipzicles sitting in my pantry were just waiting for the right time to be used. 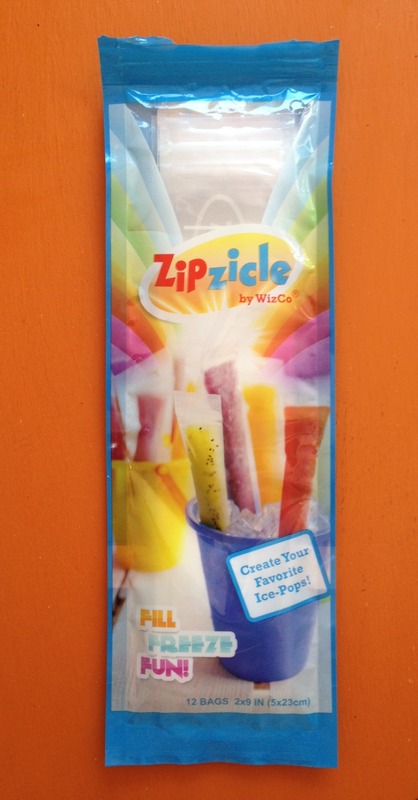 If you haven’t heard of Zipzicles, they’re pretty much a DIY version of Flav-Or-Ice. Remember those long tubes of frozen…sugar? 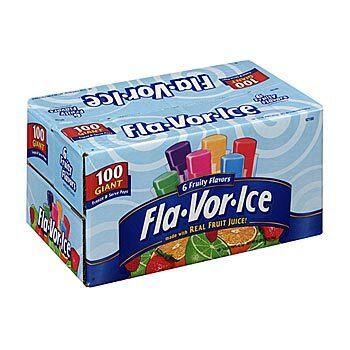 Ingredients in Flav-Or-Ice include: Water, High Fructose Corn Syrup, Fruit juice, Citric Acid, Natural and Artificial Flavors, Sodium Benzoate, Potassium Sorbate, Red 40, Yellow 5, Yellow 6, and Blue 1. 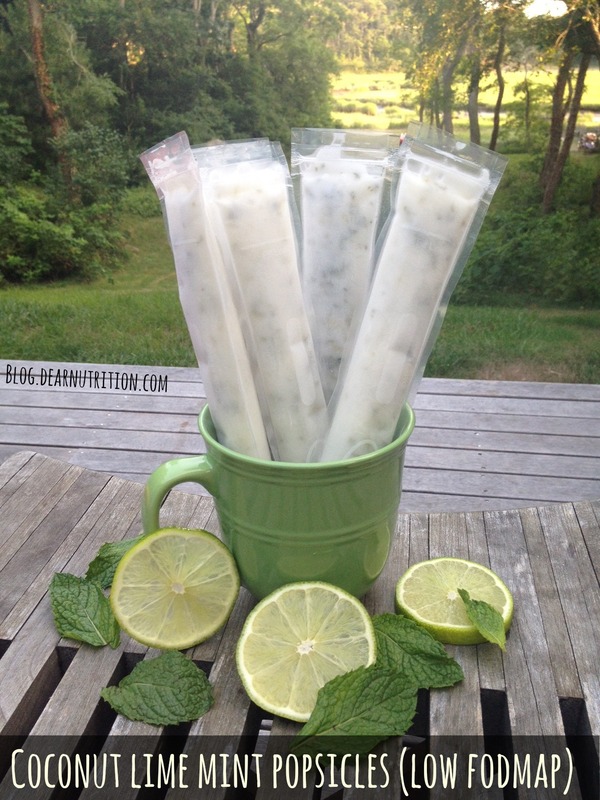 Aside from being very high in FODMAPs, these ice pops are full of artificial ingredients. So why not make your own? 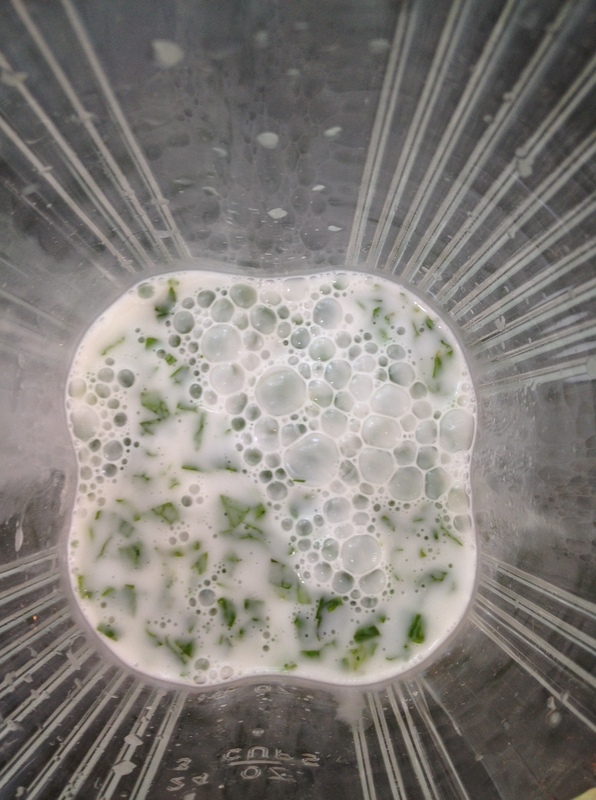 I blended light coconut milk, lime juice, mint, and some sugar. When we came back they were ready to eat! 1. Puree all ingredients in a blender. 2. Pour liquid into Zipzicles or popsicle molds. 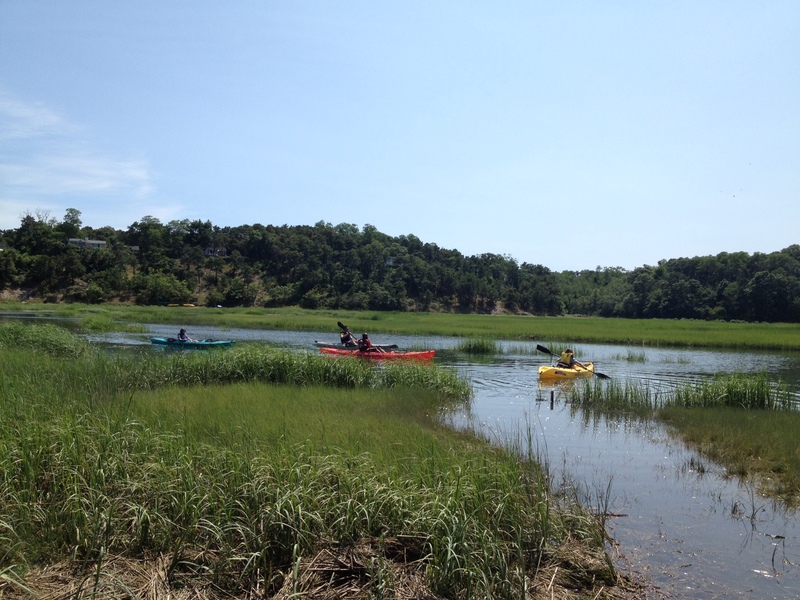 Here’s a guest blog post from Mirina Sato. Enjoy! Hi, my name is Mirina and I had a great opportunity to work as an intern for Lauren. I’m from Tokyo, Japan and I study chemistry and economics at Smith College. Growing up in multiple places such as Hong Kong and Tokyo, I have been exposed to different types of food, diet, and lifestyle. I have been fascinated by how food can affect one’s life in so many ways. I started taking cooking lessons when I was 8 years old and quickly I developed my strong interest in cooking and nutrition. Since I moved to the U.S. for high school, I noticed a big impact of food on health and I began to appreciate the healthy diet in Asian culture that I grew up with. 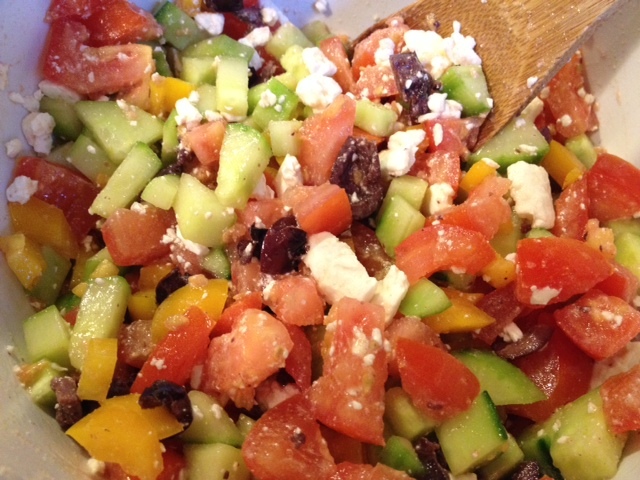 Today I would like to introduce one of my favorite quick and easy summer dishes. 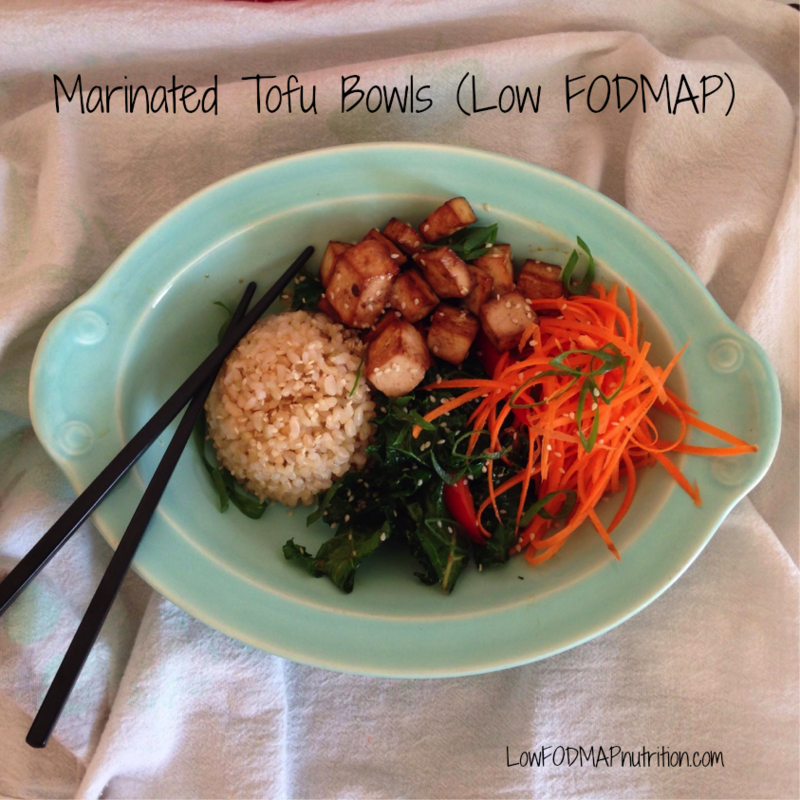 Not only is it super easy, but also low FODMAP. Here are all the ingredients. Rice wrappers can be found at Asian grocery stores. We used the brown rice noodles found at Whole Foods for this recipe because they’re a little healthier than the traditional white rice noodles. For a vegetarian option, you can substitute tofu for the shrimp. **Note, make sure your mayonnaise does not contain garlic or onion powder. Vegetables – skin the carrot with a peeler, then chop off the top. Cut it into thin slices and julienne. Then julienne the zucchini. Cut the avocado in half, then into 6 slices. 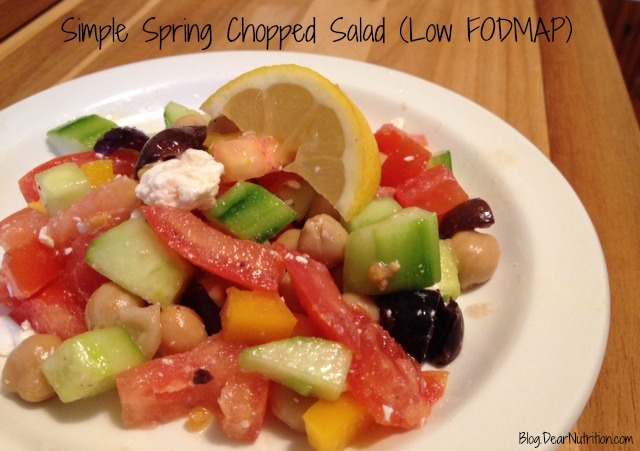 Since only 1/8 of an avocado is allowed on the low FODMAP diet, 3 small slices are okay to have. Shrimp – Bring water to boil in a sauce pot. Stir in shrimp and cook for 2 to 3 minutes. Remove from heat and drain well. Run under cold water until it cools down. Cut shrimp in half horizontally. 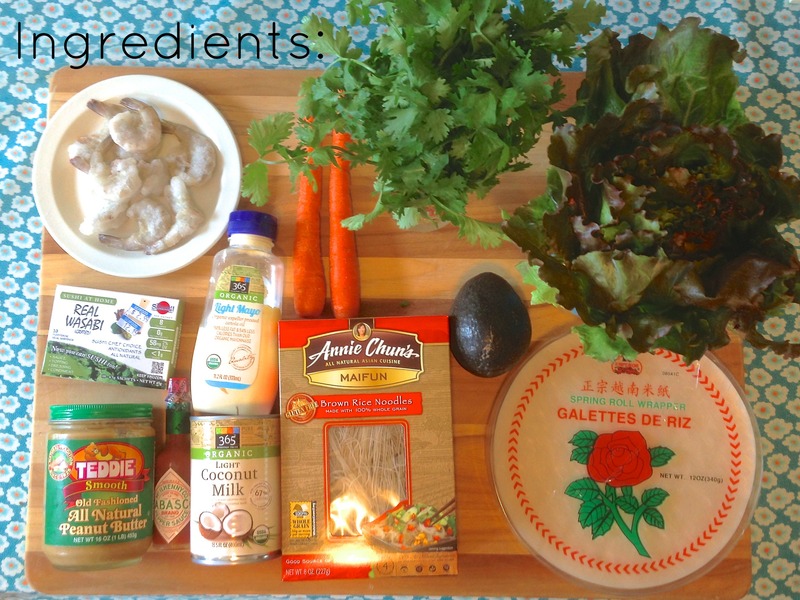 Rice noodles – cook according to the instruction on the package. Now it’s time to assemble the spring rolls. Fill a large bowl with warm water and dip a rice wrapper to soften. Keep submerged in the water until the wrapper is pliable. Step 1. 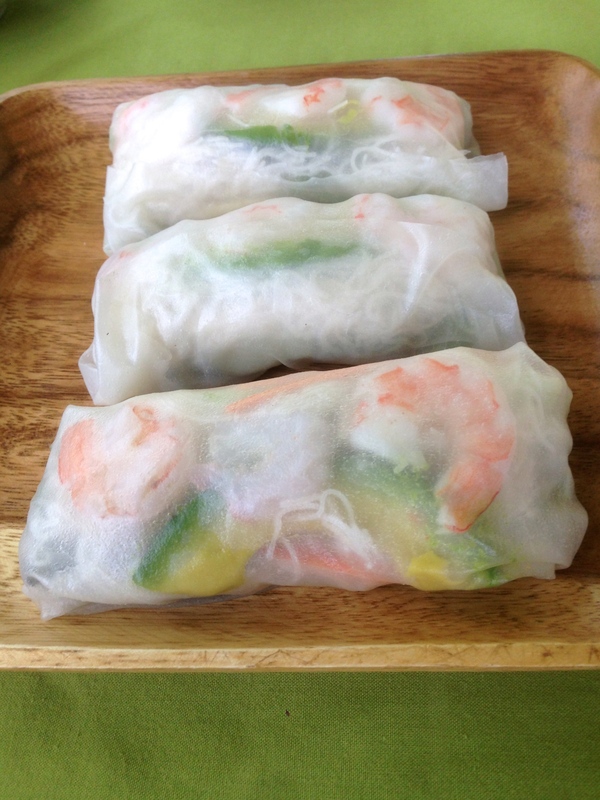 Lay wrapper flat and place shrimp, rice noodles, avocado, lettuce, carrot, zucchini, and cilantro. Step 2. Fold the bottom and make sure you cover the inside ingredients. Step 3. Fold the sides. Step 4. Roll as you pull the center inwards and make sure it’s tight. 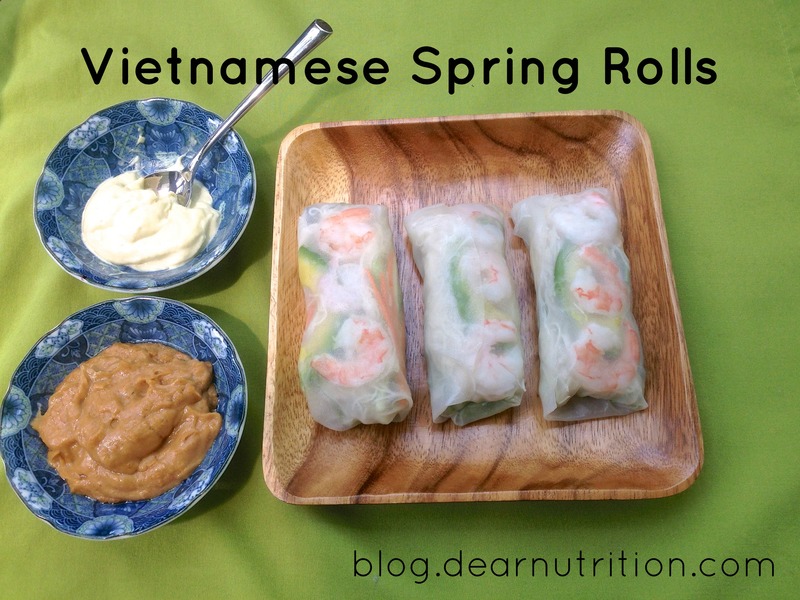 To go with the spring rolls, I have two favorite sauces – wasabi mayo and coconut peanut sauce. They are both very simple but very different. I can never choose one. 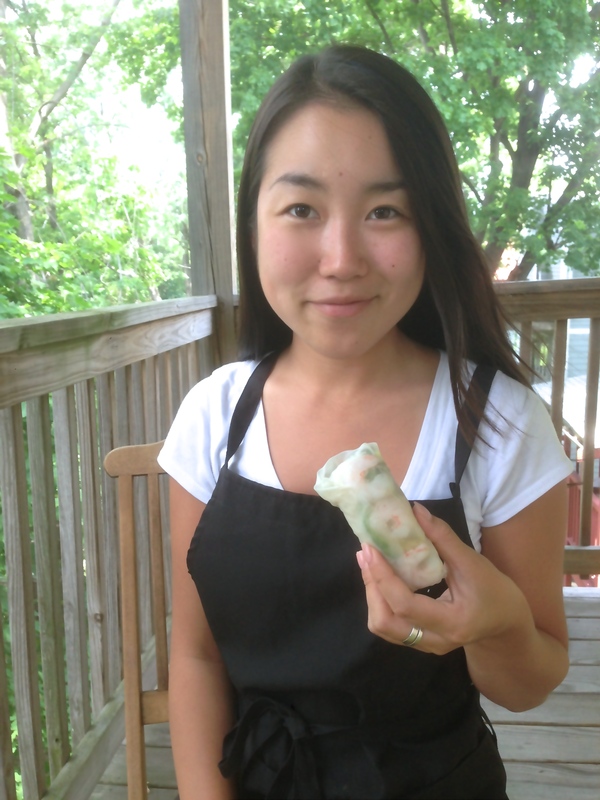 I used to make these spring rolls with my mom and it was so much fun. It can get messy, but I love the fact that you can put anything in them and just eat it right away. 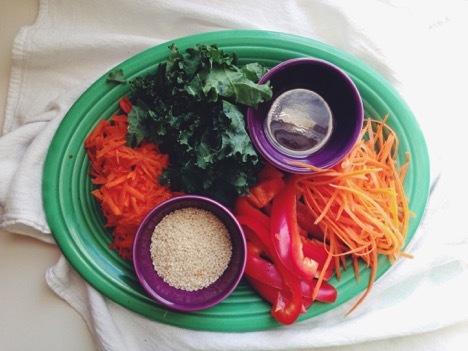 Thank you for reading my blog post and I hope you enjoyed the low FODMAP spring rolls! Wasabi to taste **Note that wasabi has not been tested for FODMAP, so do not use if you are on a strict elimination diet. 1. Mix mayonnaise and wasabi together. 1. Put all the ingredients in a pot and slowly bring to a boil while whisking. 2. Simmer over low heat for one minute. Let it cool down before serving with spring rolls.